A wonderful early enamel sign featuring a fantastic, detailed pictorial & wonderful colours and typography. 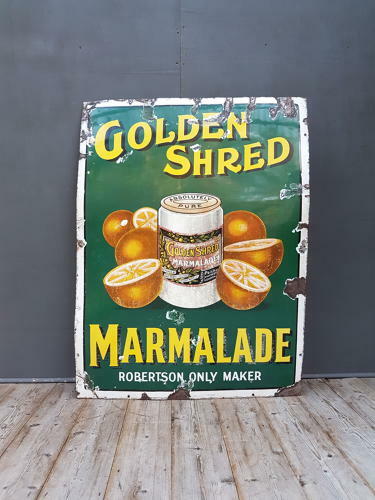 A beautiful sign, probably one of the most sought after food related enamel signs ever made & a wonderful piece of history. Wear commensurate with age, displays well & does have a few minor repairs to the metalwork, there are small traces of historic restoration in a couple of the old chips & the sign has the usual slight bow.